Numerical models have become much more efficient, making their application to problems increasingly widespread. User-friendly interfaces make the setup of a model much easier and more intuitive while increased computer speed can solve difficult problems in a matter of minutes. 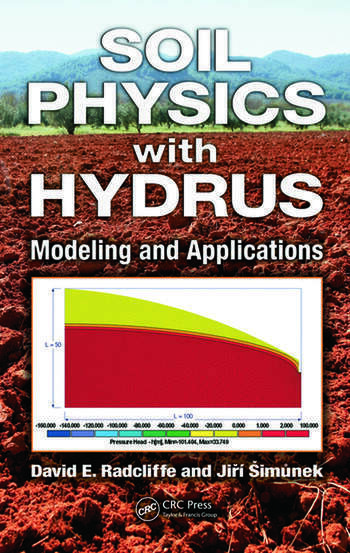 Co-authored by the software’s creator, Dr. Jirka Šimůnek, Soil Physics with HYDRUS: Modeling and Applications demonstrates one- and two-dimensional simulations and computer animations of numerical models using the HYDRUS software. Classroom-tested at the University of Georgia by Dr. David Radcliffe, this volume includes numerous examples and homework problems. It provides students with access to the HYDRUS-1D program as well as the Rosetta Module, which contains large volumes of information on the hydraulic properties of soils. The authors use HYDRUS-1D for problems that demonstrate infiltration, evaporation, and percolation of water through soils of different textures and layered soils. They also use it to show heat flow and solute transport in these systems, including the effect of physical and chemical nonequilibrium conditions. The book includes examples of two-dimensional flow in fields, hillslopes, boreholes, and capillary fringes using HYDRUS (2D/3D). It demonstrates the use of two other software packages, RETC and STANMOD, that complement the HYDRUS series. Hands-on use of the windows-based codes has proven extremely effective when learning the principles of water and solute movement, even for users with very little direct knowledge of soil physics and related disciplines and with limited mathematical expertise. 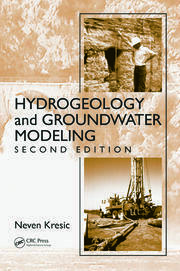 Suitable for teaching an undergraduate or lower level graduate course in soil physics or vadose zone hydrology, the text can also be used for self-study on how to use the HYDRUS models. 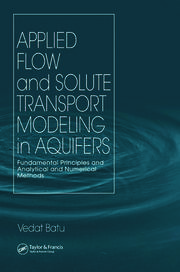 With the information in this book, you can run models for different scenarios and with different parameters, and thus gain a better understanding of the physics of water flow and contaminant transport.